So What’s a Care Bear anyway? Convenient epithet aside, when it comes to Eve where ship on ship PvP can descend on you at any moment, the term “care bear” is in serious need of definitional honing. To be useful, the term “care bear” shouldn’t refer to the activity one undertakes but rather the expectation that one can pursue that activity absolutely carefree. That is to say, indifferent and oblivious to the environment around them and most especially indifferent and oblivious to the presence of other players. In this sense (and again I think it’s the most useful definition to apply to the term), many Eve players may not be particularly belligerent (they’re not picking fights) but they’re far from carefree and therefore not care bears. Accordingly, if a player argues for absolutely safe zones: Care bear. However, if a player embraces that there will always be some risk involved: Not care bear. Additional elaboration: Working to reduce risk is not “carebearing”. Rather, it’s centering risk as an important element of game play and undertaking ways to manage it. Sadly, while I don’t suspect such definitional honing will catch on (flinging fuzzy epithet is such easy fun), I find I can’t refrain. In the end we are what we are, no? Unless there’s a gaggle of untapped players itching to be dirt poor peasant capsuleers (I’m aware of no such group), every Eve career, wherever you undertake it, should provide a reasonably posh space life. We’re bloody Empyreans after all. The whole idea of balancing areas primarily around risk vs ISK reward is terribly confused from the get-go. On the consumption side, getting away from such ISK-based thinking is precisely what spaceship tiericide was all about. It used to be that a Rifter was sorta like a Slasher only better and more expensive. CCP abandoned such an approach long ago. These days Slashers are good at some things while Rifters are good at other things and the game is better for it. We shouldn’t approach different areas of space with pre-tiercide thinking just like we no longer approach ship design with pre-tiercide thinking. Lowsec isn’t sorta like highsec only a little riskier and a little more lucrative. Nullsec isn’t sorta like lowsec only a little riskier and a little more lucrative and wormholes aren’t sorta like nullsec with yet another step up the riskier and more lucrative tier ladder. No, just like modern Slashers and Rifters, each area of space provides unique types of game play best undertaken in that space. Wormholes are comparatively blind and brutal places with exclusive Tech 3 resources. Nullsec alone provides intricate sovereignty play where you and yours can publically plant a flag. CCP now connects nullsec PvEing to sov. Lowsec is wonderful hybrid mixture with a touch of law and order around gates and stations but no similar law and order away from those islands of civilization. Lowsec is the only place for robust militia work. Highsec is all about navigating top to bottom law and order. 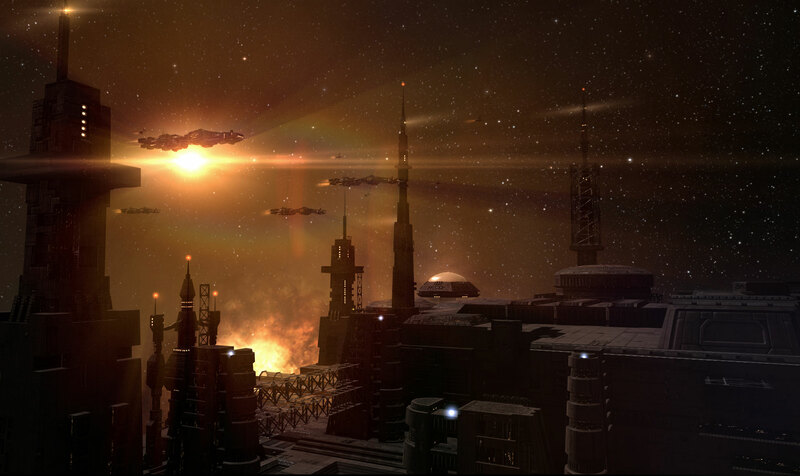 Be a law abiding citizen and wherever you roam in highsec the space police have your back. Mind your PDQs, refrain from loot piñataing and you can nearly always up and step away from the screen, making highsec a great place for casual play. At the same time, if criminality appeals, highsec can also be a place for glued-to-the-screen, must-pay-close-attention action, but keep in mind that this is still wrapped up with navigating the law. Arguing that highsec needs an ISK nerf or an ISK buff or much of anything ISK-related to achieve proper balance is thoroughly pre-tiericide. We’ve really got to step away from such thinking. If you’re in nullsec for the ISK rather than the joys of sov you’re sort of missing out on the unique pleasures nullsec can provide. For the life of me, I can’t figure out why so many players peer enviously at other players’ space yards and their supposed greener grass. If you want to do what’s over there, go over there. Alternately, if you like where you’re at, chuckle smugly at the neighbor pointing at your well-manicured lawn whining that you cultivating such fine grass diminishes their gardening enjoyment because their envy’s not your problem, it’s their problem. Of course it’s more complicated than just unique play for unique areas. For example, in the Crius expansion (you remember Crius, yes?) manufacturing was tweaked to create a robust risk/reward (actually work-risk/reward) dynamic via congestion-driven “system cost index” premiums. If you manufacture in conveniently located highsec locations you bump into a whole lot of other manufacturers doing just the same, driving up the system cost index. Given enough congestion, ballooning expenses drive such places into infeasibility, leaving manufacturers a few options: 1) Tolerate it because safe convenience ain’t cheap, 2) Locate a quiet highsec area multiple (often 10+) jumps away, 3) Be willing to hike up the risk and manufacture in (or through) more dangerous areas. Now I’ll be honest, being a long term safety-conscious manufacturer, post Crius I initially tried the first option but found the convenience premium unendurable, so I switched to obscure safety only to discover the long commute even more agonizing, leading me to finally consider lowsec where, after a little searching, I located a light congestion location but three jumps from my preferred trade hub. So these days I run like hell for the first couple of jumps and reap the risk taking low congestion benefits. Sometimes I even have to crash gatecamps which adds a little sparkle. As chance would have it, I was reading Andrew Groen’s Empires Of Eve as World War Bee raged. It was an interesting experience to read the established narrative of Eve’s past while simultaneously reflecting on another big narrative being generated in our present. “Pubbie” as I understand it is (or was) a Goonswarm pejorative flung at Eve players not members of Goon’s SomethingAwful.com-based alliance. Unchosen members of the unwashed public and most especially unchosen members of unwashed empire space. World War Bee was funded unconventionally with casino profits picking up much of the tab and The Imperium (Goonswarm’s current incarnation) are most displeased. Imperium Goons primary complaint with Casinos appears to be that they “generate unassailable income via out of game means” and while I dispute the accuracy of the words “generate” and “out of game”, since all ISK is both created and transferred only in game, it does capture a bewildering difficulty they faced. 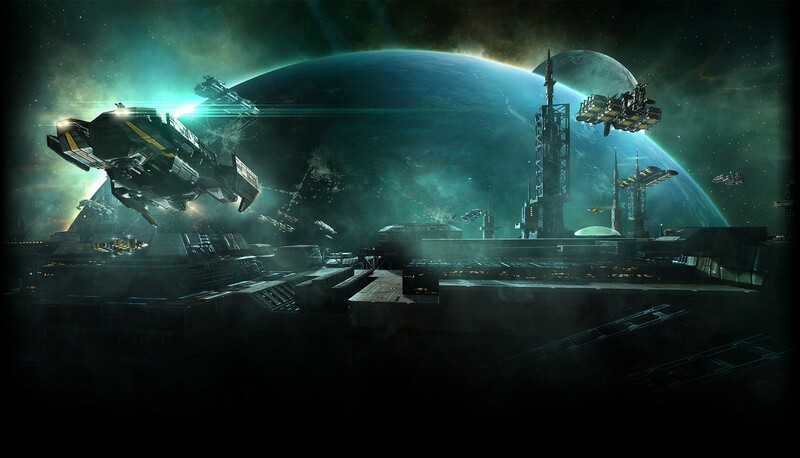 The casino ISK that seeded WWB was cultivated from people residing in locations Goons were hard pressed to strike at – empire capsuleers, both high and low, wormhole capsuleers as well as non-Imperium nullsec capsuleers (because surely with the sole exception of SpaceMonkey’s Alliance, Imperium capsuleers wouldn’t leisure against their leadership’s best interests). In other words, the pubbies, and most especially the unwashed empire pubbies. Imperium Goons just got brought low by the power of weaponized pubbies. Seems odd narrative to pursue. Go figure. We both know there are numerous exceptions to everything here said. Nullsec is riddled with NPC space, you can mine well-nigh anywhere, even wormholes, and pubbies themselves weren’t weaponized, just their ISK, but we’re talking foundational themes and big narratives. Veritable shallow thoughts from deep highsec. Origins of So What’s a CareBear Anyway can be found here. Origins of Abusing Risk and Work Matters can be found deep in the comment stream here.